One solution for all your Restaurant Design needs! Customized restaurant website designs and templates. They are sure to win the customers and positive feedback. Send us all the information you have pertaining to your service and restaurant. Provide us with the basic information, website details and the requirement. Within a short span, we shall come up with a brand new website with attractive features and content. It shall be a package of surprises and shall help in attracting visitors to your website. Post us your USP: Yes! Provide us with whatever you've got, be it the menu, the dish preparation, your info, your profile, your Facebook page, your Blog, etc. We shall work ahead with all the info we get from your end. 5 Days to Get Set & Go: All it takes is 5 days to make your new website go live and all running. You shall have the opportunity to review and give instant feedback on the end product before we move it to Live. Your wish list of Domain name: We shall provide you inputs pertaining to Domain name and once it's finalized, your website goes Live! Are you a restaurant owner looking to stay ahead of your competitors? Be the leader in your niche with kreativ web solutions creative approach of web layouts, innovative fuctionalites you need. 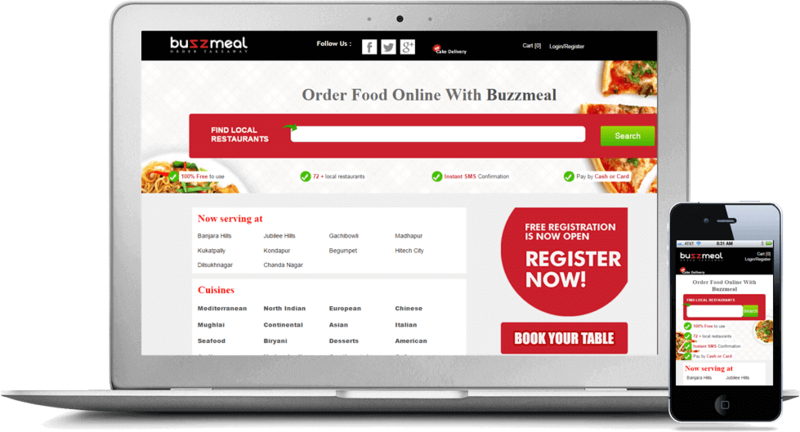 Restaurant Online Ordering is a versatile benefit because it offers useful, time efficient features for customers and restaurant owners. This new innovative technology is growing rapidly with consumers for many reasons. Can have an idea of what your place provide. you will be able to add min and max time of stay on the table once booked. Admin will be able to change the status of reservation as pending, confirmed, cancelled etc.